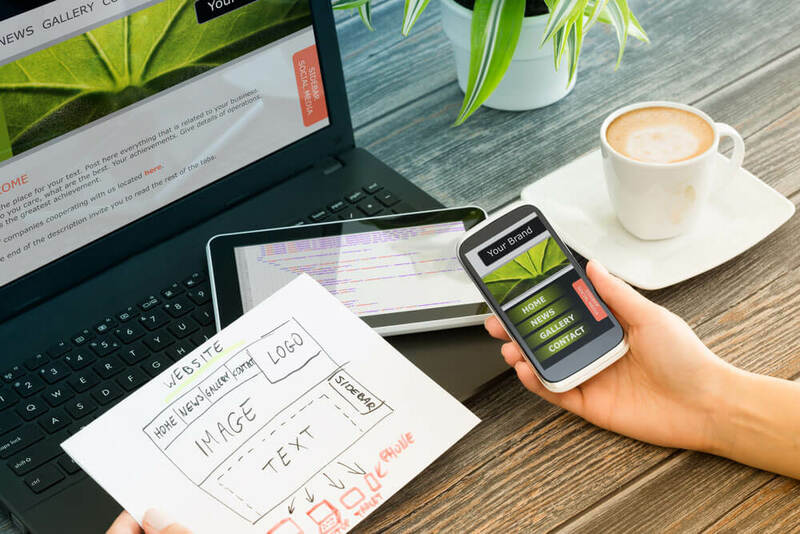 If you are like many small businesses and health care practices, you want more traffic and more clients, and you are willing to invest in a website IF you believe that it will meet these goals. And if your current website isn’t performing, you are not alone. 80% of small business websites fail. Let’s go through 7 absolutely essential strategies every website needs in order to bring in new business. Brand strategy is where it all starts. And if your last web designer didn’t “get” your business, this is why. Branding is more than just an eye-catching logo. It’s how you talk about your practice. It helps people understand how they will benefit from your services, and how you are better or different from your competitors. Many businesses skip over branding when they launch their business because they don’t realize how important it is. Crafting a mission statement for your “About” web page explains what you do and how you help. This may seem obvious to you, but often it’s not obvious to your web visitors. Core values explain how you deliver your services. This is more than what’s typically assumed (“We are licensed” or “We Care”, for example). Your core values explain how you are unique and extraordinary. They might include “We set and measure agreed-upon goals”. Keep in mind that selling professional services, such as health care services, isn’t like selling a product on a shelf. You are selling a promise to make lives better. 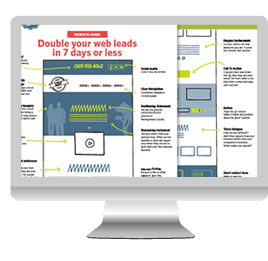 The first thing a visitor sees is the “look” of your website. And YES, they are judging you in the first 10 seconds. Make sure your website is eye-catching, on a computer and on a phone. If not, people will move on. Graphic design is worth the investment. And so is professional photography: show your workplace and team members in the best possible light (literally and figuratively!). Many websites read like online resumes. But a great website speaks directly to your visitors with “you” focused messaging. It demonstrates how your business understands pain points, and explains how you are uniquely qualified to help. For example “When you are suffering from back pain — nothing else matters. You need a physical therapist who understands how to resolve back pain, effectively and efficiently” is much better than “We have been helping people since 2005”. Now that you have something worth viewing, you need the right people to visit. Often I hear “All of our clients are referrals.” What many business owners don’t know is that online marketing really is a great way to find new clients. And, the more differentiated your practice is, the more a website can attract and send you the right customers. Invest in “on-page” SEO and content marketing (writing blog articles) and your investment will pay off for years to come. New clients will be able to find you quickly and easily using Google. Now that you have people coming to your website, make sure they know what to do next. Display your phone number prominently in your banner, or include a big button that leads visitors to your (short) contact form. In case your visitors aren’t quite ready for your services, be sure to offer them something of value before they leave; a “free offer”. Spend some time developing this free resource. If you are a PT, it could be “5 exercises to reduce your sciatica pain” for example. Share your best information. If you do, your perfect prospects will gladly exchange their email address for this information. And this allows you to grow and nurture a list of possible clients as they get to know, like and trust you. Now that you are growing your list of possible clients, you will want to stay-in-touch with them. If you have a blog, send out copies of the articles you publish via email. Or better yet, write a series of automated emails that are sent to the people who have downloaded your free resource, talking about the types of problems you solve and delivering real value by sharing your expertise. This will result in far more website sales than your “free offer” ever could do on its own. Google loves fresh content, so update your website regularly so Google will keep sending you the right kind of traffic. Post articles with expert tips and information to help your would-be clients. And be sure to keep your WordPress software up-to-date and your website backed up to avoid hacks. And every 3 years freshen up the look. Hire an expert if you don’t have the talent in place to effectively use your website to market. If you think websites are expensive, think again. Three years ago I designed a website that brought in $267,000 in direct revenue using these proven strategies. 25x the amount it cost to design and build! A $3,000 website that brings in no new sales is way more expensive than a $12,000 website that brings in over $200,000 in sales. These strategies work. They really do. Are you ready for a website refresh and proven strategies?